There's so much going on from Good Friday to Easter Monday from 11am to 4pm every day at Dublinia, including…. Viking weapons demonstration – Join Claoimh and find out all about arms and armour in Ireland c. 795 – 1171. Explore the weapons of Viking Age Ireland including swords, shields, spears, bows, and axes, and find out the skills and tactics of using them. See a range of domestic Viking goods including unique Irish Hiberno-Norse buckles, jewellery, hack silver and Dublin coins die too. Viking Coin Minting – Meet our Viking Coin Minter from Montague Heritage Services. Watch him demonstrate this special art of coin minting and listen as he shares his knowledge of Viking arts and crafts. 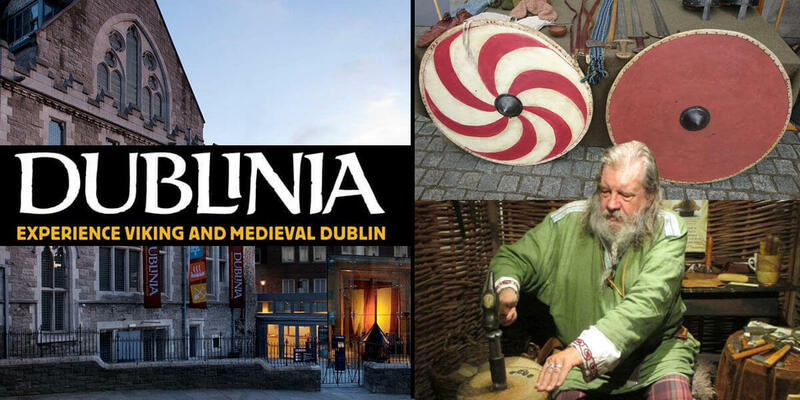 Dress like a Viking – Come along and examine up close the clothing and trappings which Dubliners of the Viking Age would have worn. A range of domestic Viking clothing including cloaks, tunics, hats and shoes will be presented alongside accessories including Hiberno Norse belts, brooches and bracelets. There will also be Military items such as helmets and swords. So come along to all or any of these events and meet our experts who will answer any questions you may have from Viking weapons to Viking fashion!